New Yorker Barbara Pollack has been writing about contemporary art in China since 1997. 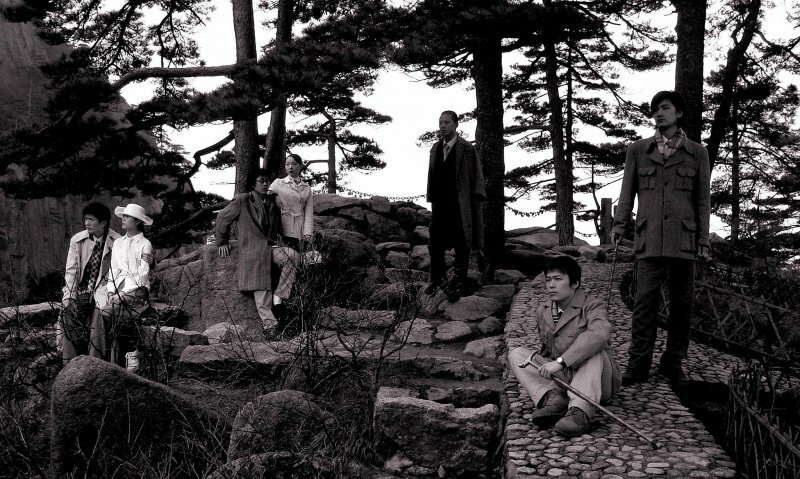 Video still from Part I of Seven Intellectuals in a Bamboo Forest, showing the titular seven intellectuals at Yellow Mountain. Courtesy of ShanghART Gallery. 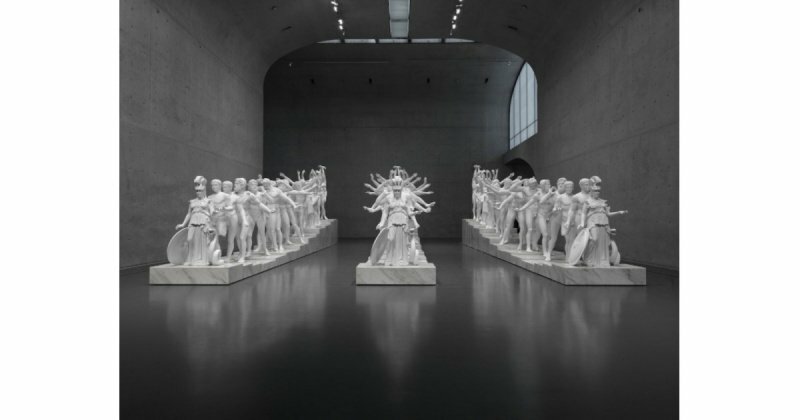 Xu Zhen, European Thousand-arms Classical Sculpture,2014. Glass fiber reinforced concrete, marble grains, marble, metal, 119 11/16 x 578 3/4 x 186 1/4 in \ 304 x 1470 x 473 cm. Courtesy White Rabbit Colletion, Xu Zhen by MadeIn Company. Lu Yang, Lu Yang Delusional Mandala, 2015, single-channel video, 00:16:27. Courtesy of the artist and Beijing Commune. 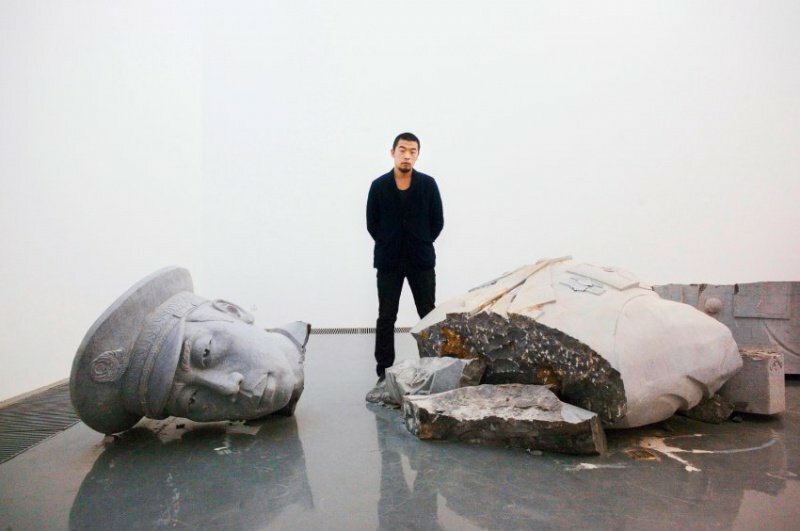 Zhao Zhao with his work of a broken officer sculpture at Chambers Fine Art. Sun Xun, Time Spy, 2016. Courtesy of the artist and Sean Kelly Gallery. 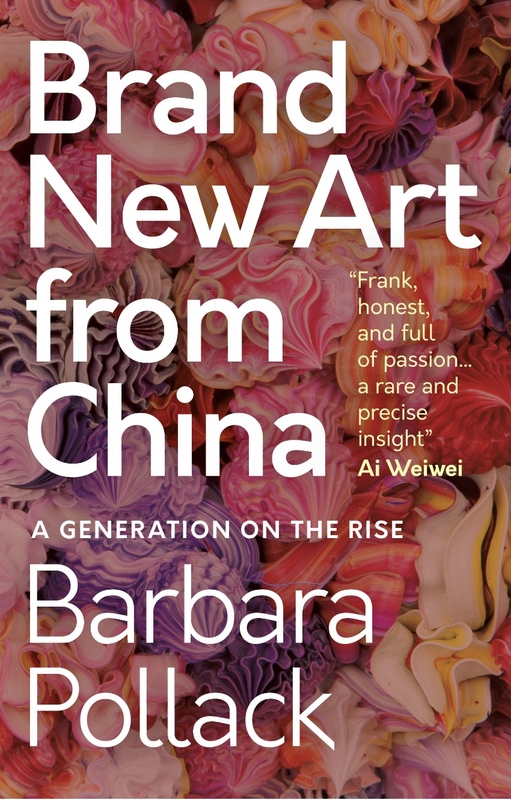 “Brand New Art from China – A generation on the rise” is the new book by the New York-based writer and independent curator Barbara Pollack. In the new publication, she explores the transnational features of emerging artists from China. Art critic Barbara Pollack coined the term “Post-Passport Identity” to describe a generation of emerging Chinese artists born in the 1980s and 1990s, who are the subject of her latest book “Brand New Art from China – A generation on the rise” (I.B. Tauris, Autumn 2018). Influenced by Thelma Golden’s 2001 seminal essay on the “post-black” artists, Pollack focuses on the new cosmopolitanism and transnationalism in these artists’ work, for whom the internet and globalisation go hand in hand with local food and 5,000 years of cultural heritage in their everyday life. Despite there being many existing publications on Chinese contemporary art, this volume is timely and much needed. As complex and vexed as China’s socio-politics is today, new art from the region continues to perplex its audience as much as it did 40 years ago. Few art critics are able to view these fresh art forms and ideas with a clear vision of what they mean as a phenomenon. In this book, Pollack provides us with some codes and passwords to enter the art world of the “provocative, exciting and bold” generation of Chinese artists. 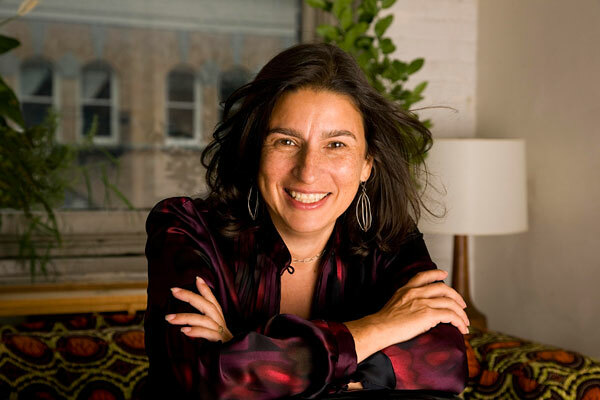 Pollack’s first contact with Chinese art was in the 1990s when she was living in New York, writing about contemporary art from all over the world. “I was really interested in the issue of artists from non-Western centres and what the curator Hou Hanru would call ‘the periphery’,” said Pollack in her New York home. There were a lot of Chinese artists living in New York, who had left China after the Tiananmen Protest in 1989. In 1998, Barbara met the likes of Cai Guoqiang, Xu Bing and Zhang Huan, as well as curator Gao Minglu, who curated the show “Inside Out: New Chinese Art” (organised by Asia Society at PS1). In 2004, Barbara took her first trip to China and went to Beijing and Shanghai, where she visited the Shanghai biennial, “Techniques of the Visible.” “I could see that something very exciting was going to happen in China. When I got there, there were only three galleries for me to see, but you could sense that the scene was about to explode, so I started coming to China quite regularly”. Her keen observation of its fast-paced development made her a leading expert on Chinese contemporary art. Six years later, Pollack published her first book on Chinese art, The Wild, Wild East – An American Art Critic’s Adventures in China (Timezone 8, 2010), a collection of narrative, journalistic writings recounting the Chinese art ecosystem. Can you tell us how you come up with the term “post-passport generation” for this group of young Chinese artists? Curators refer to this new generation as transnational a lot. Thelma Golden, who is the director of the Studio Museum in Harlem, which deals with African-American artists, did a show called Freestyle in about 2001. She looked at the phenomenon of what she described as “post-black artists”. This was very controversial because the racial problems are obviously not solved in the U.S. With “post-black” she describes a generation of artists who had integrated their black identity into their work, but were more interested in exploring a whole range of subjects, not just identity. So, this inspired me to think of the term “post-passport”, for the post-national designation. I think that it’s a term which applies not just to Chinese artists, but probably artists around the world, who are increasingly conscious of working in this manner and incorporating a post-passport philosophy into their practice. There is a very important difference between the older generation, who have experienced the Cultural Revolution, and the young generation of artists who were born in the 1980s and 1990s. Do you sense any uneasiness in the middle generation, who represent a transition between the two? Artists like Yang Fudong or Xu Zhen, who I write about in the book, are transitional figures. They’ve had global careers and show all over the world. They have greater access to the West than the generation before them, but they’re still struggling to express Chineseness in their work. So Yang Fudong’s films sometimes almost look like a scroll painting, and Xu Zhen’s sculptures mash together Eastern and Western icons. Artists ten years younger than Xu Zhen are no longer doing that. But the middle generation seems to be trying to be a bridge between the older and younger generation, and they still feel that it’s important to explore Chinese issues in their work. Other than the need to explore one’s own identity, there are also the expectations imposed by others, in particular, curators. Can we sum up the different strategies these young artists deploy to address the identity issue? Yes, the younger generation uses several different strategies, one of which I call sampling. They feel like a DJ who takes from different currents of culture and mashes them together in their work, without a sense of conflict between East and West. It’s more like a confluence. Then, there are others who see all aspects of identity as a fabrication, So, Chinese artists can make up an identity that makes them look like a European artist, or a European artist could make up an identity that makes them look like a Chinese artist. Finally, the third method is the post-internet strategy, based on the fact that technology gives you so much access to the world. Artist Lu Yang said she doesn’t live in China, she lives on the internet. It allows you to have a fluid identity that’s made up on the internet. 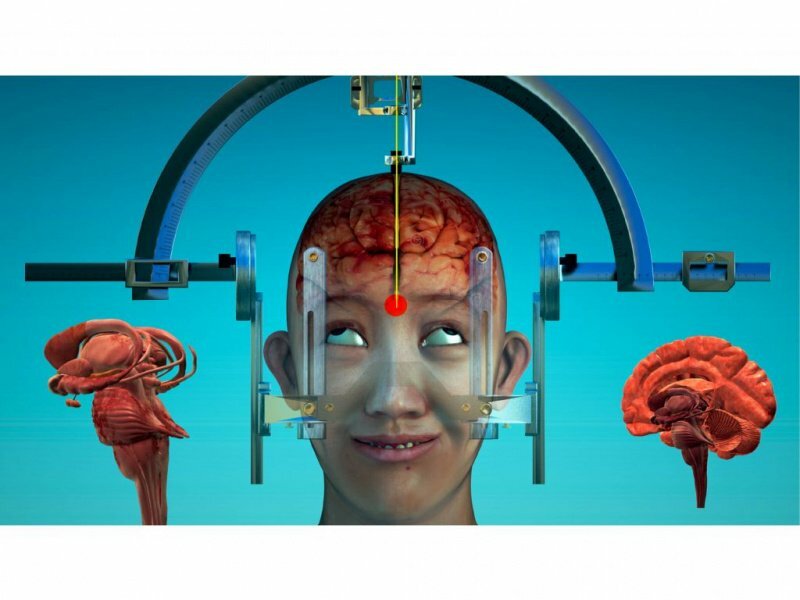 These artists use avatars and social media to communicate very easily with people all around the world. The impact of technology is huge on this generation. They never totally reject their identity though. No, they don’t. Most of the artists that I interviewed grew up in China and they don’t reject that feeling of being Chinese, but their focus is much more about having a global conversation. It is about rejecting nationalism, not nationality. That’s why I came up with this idea of a post-passport identity. Much of Chinese youth have this nationalism and I think it’s reinforced by government policies, but there was an explicit rejection of that among these artists. It is quite an expansive attitude on the artists’ part to talk about subjects that don’t necessarily pinpoint their own identity. Yes. I think there are a number of things going on in the world that make national identity a complicated thing for artists to hold onto. One is the complex political situation in many countries, and that people don’t necessarily identify with their governments. There is also a lot of awareness of the way that facts can be fabricated. Sometimes, we call it “post-truth”. Artists don’t view identity as something that comes naturally anymore, but rather as something that is also fabricated and imposed on you. So, while the early generation saw cultural identity to be as natural as their DNA, coming from their families and the way that they were brought up, the younger generation was not necessarily brought up with the traditions of the older generation and may have a very different relationship with their family. So, acquainting themselves with cultural identity is a learned experience. It is not a lived experience, so they are suspicious of it. How does this attitude reflect in the work? Can we take a few examples from your book? An example is Chen Tianzhou. He is doing performances that take elements of Japanese Butoh dance, new wave dancing, rave culture, London culture in the 80s, the New Romantics… all sorts of different global subcultures and blending them together. So, even though the work might not look specifically Chinese, it certainly looks Asian. It’s not clear what country it’s coming from, and this is very important to him. He uses performers and musicians from all over the world. It’s really an investigation of what is a subculture and if you can create your own subculture. So, I would say that’s one strategy around this. 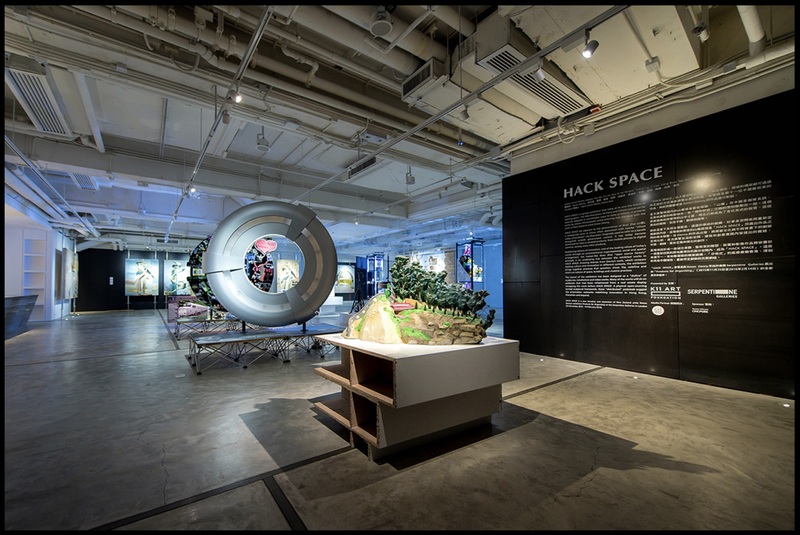 Another example is Tao Hui, a video artist who creates fictional characters and stories. He even performed as a Muslim woman in a video and described his body. He’s exploring how identity can be completely fictionalised and how we look at things like soap operas or television shows and place our face in them. We get completely moved by the stories, even though we know it’s entirely fictional. 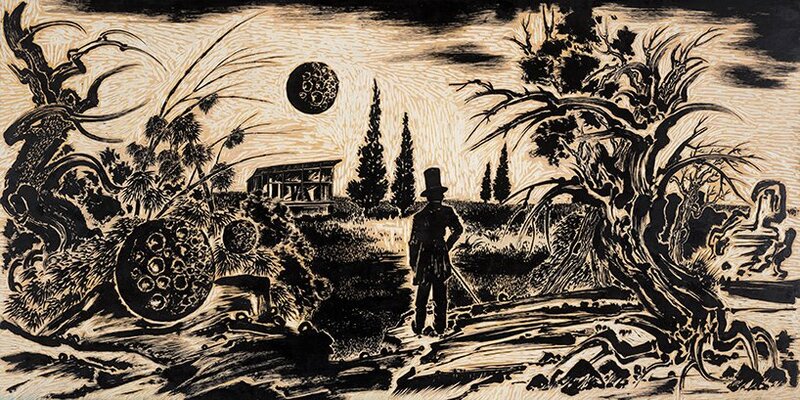 He is exploring the power of that narrative work, of a fabricated identity. So, the post-passport generation is not specific to any nationality or region. Do you also see it happening in New York with the younger generation? Less so because Americans are so narcissistic. They assume that they’re global, but I think that sometimes American artists don’t look beyond their own culture enough. While the younger generation celebrates more open access to the internet and the new identity that they create for themselves, what is their attitude towards the government and censorship? Are they creating a distance from politics or engaging with it? A few of them have a critical attitude towards the government and politics. The vast majority are interested in issues other than politics. Very few of them view censorship as a problem. They feel that a show they’re in may eventually get shut down and that’s just the price of doing business in China. I asked them a lot about how they viewed the government, but most of them weren’t politically engaged. They didn’t view the government as an enemy, but as being irrelevant to their lives. As they increasingly do projects in international settings, they feel that if they get censored in China, they can show their work elsewhere in the world, so they’re never completely shut down. I focused on Zhao Zhao and Sun Xun, who have quite a critical view of what’s going on and express it in different ways. I don’t think their work is didactically political, it’s more like they’re dealing in metaphors, but Zhao Zhao has been censored and he was a studio assistant of Ai Weiwei, so often deals with political subject matter in his work. Sun Xun got taught the official history in school, but his parents told him their stories of the Cultural Revolution and other things, so he grew up with a sense that history is fabricated and can be manipulated, and deals with that extensively in his work. Even in U.S., though there are some artists doing political work, the vast majority of them are not making work about politics. Artists want the freedom to explore other things and not be locked into just talking about politics. 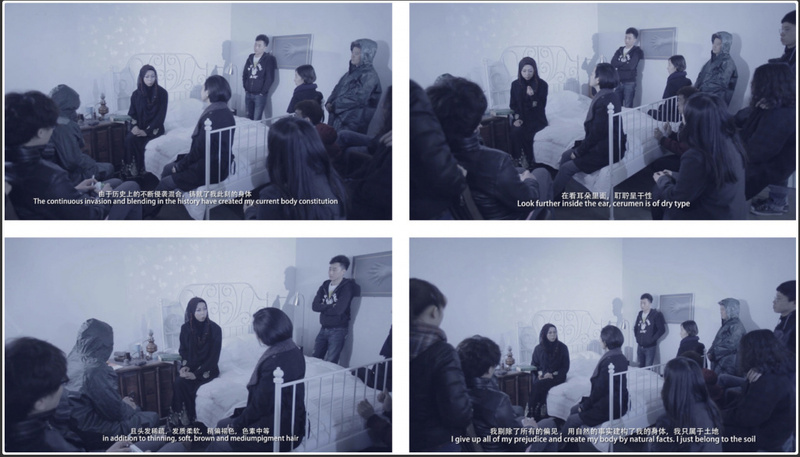 The younger generation of Chinese artists feels that the older generation was often interpreted in purely political terms, so they want to escape that and not necessarily be pigeon-holed as being political just because they’re Chinese artists. You also touch on the gallery scene, the museums and the collectors in the book. They are all from the same generation age-wise. How do you see this relationship between artists and other stakeholders in the Chinese art world? I saw a whole group of younger collectors, curators, museum directors emerging in China and running the new institutions opening there. They are very smart and have a great desire to make a contribution. This new generation was always referred to as the Little Emperors who are presumed to be spoiled and not interested in bigger issues, but the young art professionals that I met were not that way at all and are very interested in making a contribution to Chinese society. When I first came to China in 2004, many institutions looked to foreigners to run them, people who were already familiar with the American or European system. Now a whole generation of Chinese people have emerged who have educated themselves and possess the skills to run those institutions, and so we’re seeing a shift in how they are functioning and this was very exciting to me. Do you still see the trend in China of adapting the Western model? I’m one of these people who totally reject the notion that there are Western versus Eastern ways of running a museum. I don’t think that we often see a new model of how to run a museum in China, we’re seeing corruption instead. I am very open about that. I am calling for greater professionalisation of the institutions in China, not because I want them to Westernise, but because I think that the corruption that’s going on devalues what they’re doing and devalues the significance of an exhibition, which is there for the career of an artist. If you want to be taken seriously throughout the world, as most museums aspire to be, you need to be functioning in a transparent and ethical way. I don’t think that’s just a Western thing. Many museums in Japan are able to operate to this high professional standard and they don’t view it as selling out to the U.S. They see it as having first-rate museums. To me, the most significant local factor that’s impacting Chinese museums is the lack of a tax structure that allows people to give donations to make museums not for profit, tax-deductible institutions that would allow collectors to contribute to these institutions. I don’t think this is a matter of West versus East. What impact would you expect this publication to have? I hope it will start a dialogue in China and outside of China about Chinese art, and encourage people to get past an East/West dialectic. I think for too long, Chinese art has been talked about in terms of East meeting West, or an amalgam of Eastern and Western influences. We have moved past that and I want people to talk about it in a more up-to-date way. Beyond that, I hope it introduces the young generation of artists to a wider audience. In China, a lot of them are very well known, but in the States or Europe, much less so. I hope this will become the go-to book for people to refer to, in terms of finding out more about emerging artists right now in China. Thank you and we look forward to the Chinese translation of the book too. Congratulations once again!